Most of the calls we receive from customers each and every day ask the same question… how much do snow removal services cost? From snow plow services, to shoveling services, residential snow removal services to commercial snow removal services, our rates and charges can vary. Whatever service you’re looking for, you can rest assured that we’re Boston’s most affordable snow removal company. From clearing your snow to hauling it away, our competitive rates make us Boston’s number one choice for snow removal services. When you’re considering hiring us for your commercial and residential snow removal needs there are a lot of variables that come into play. What sort of services do you require? How often would you like these services to be provided? How large is your property? And what equipment will be needed to accomplish your task? With so many variables we’ll never just provide a blanket quote. All of our quotes are customized by project and take into account all of the aforementioned factors. To help you better understand the cost of snow removal, our snow removal company always provides complimentary site visits and quotes to help you better budget for your winter snow removal services. We’ll always schedule a time that works for you and will help you better understand the options for your snow removal needs. When we come to visit, we can typically provide you with a quote on the spot. When you call Snow Removal Services Boston, there’s never any obligation to use our services and we’ll never share your information with other companies. We strive to work within your budget and create a customized snow removal schedule conducive to your wants and needs. Comprehensive Packages are always your best value when you call Snow Removal Services Boston. If you’re already receiving a service from us, adding on additional services can be incredibly cost-effective. Since we’re already sending our equipment and snow specialists to your location, adding on valuable extras can save you time and money in the long run. When you reach out to Snow Removal Services Boston we’ re always more than willing to provide you with a complimentary quote for the services you want as well as a quote for extra services should you choose to add them. Most of our customers are always surprised by the low cost of our additional services. Is your maintenance specialist on holidays? Has the latest winter storm left you with more work than you can handle? Is your personal equipment just not doing the job? 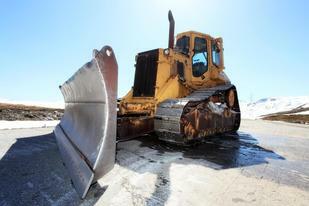 At Boston Snow Removal Services we specialize in helping hand or one-off services. From snow plow services, to shoveling, hauling to clearing, our snow experts are always here to help. While you may not need a routine service all year round, our one-off services can help you when you need it the most. Just visit our contact page to claim your complimentary quote.